It's hard to beat a day at the park. 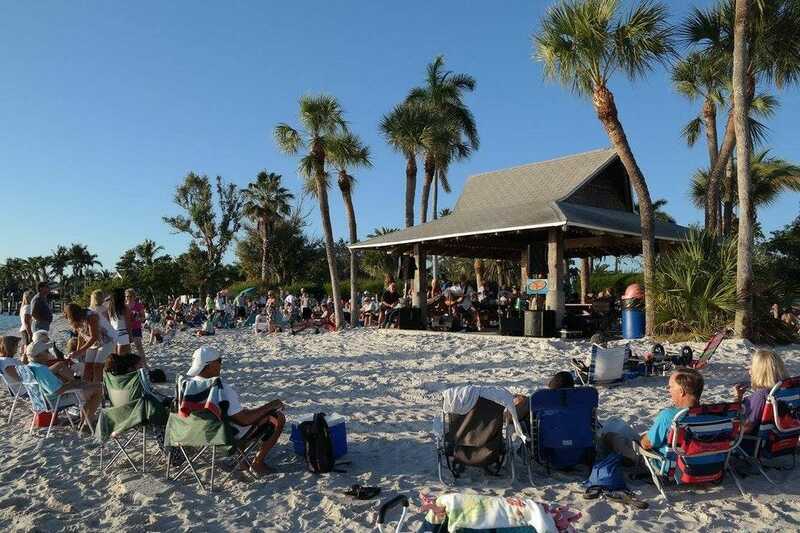 Residents in the Fort Myers area love the outdoors and the number of unique parks serves as proof. 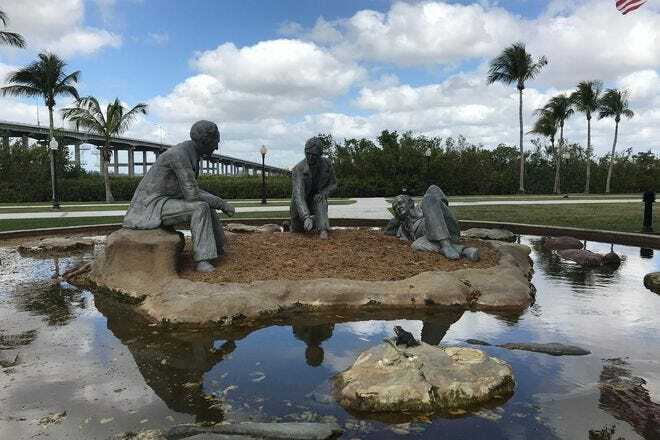 Lakes Regional Park is one of the biggest and most popular with picnic pavilions, volley ball courts, exercise stations, a kids water feature and a miniature train ride among other things. You might even see alligators here. If it's manatees you prefer, catch a glimpse of the gentle giants at Manatee Park from observation platforms or in the water. Kayak and canoe rentals are available. A day at the park doesn't have to be relaxing. It can also be a fun place to find a pick up game of volley ball or basketball and many community parks offer an abundance of these opportunities. However, some of the most popular places for recreation, walking and wildlife observation are at parks found along the water. At opposite ends of Estero Island or Fort Myers Beach, you'll find Lover's Key State Park and Bowditch Point. 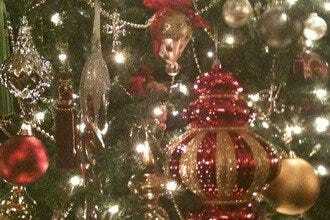 All have activities to suit any age or lifestyle. 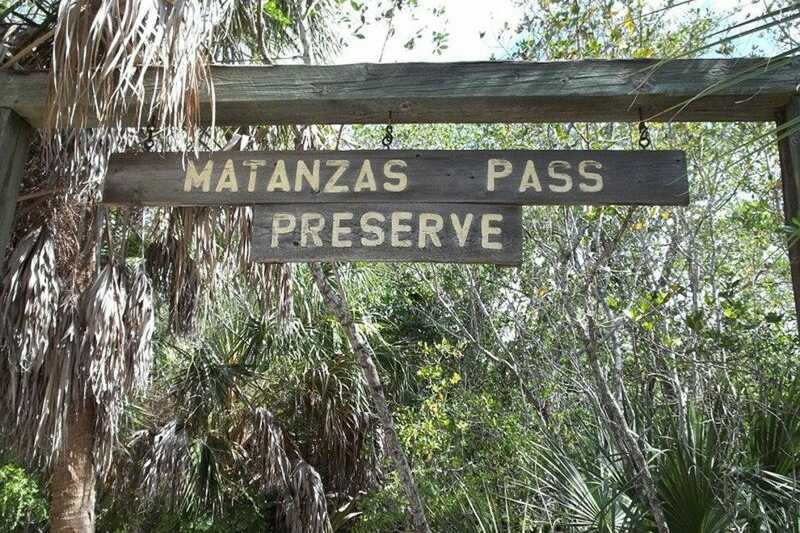 Located on Estero Island, Matanzas Pass Preserve is one of the few natural habitats left on the island that is also home to Fort Myers Beach. Not only is it free to the public but also home to 1.25 miles of trails that wind through mangroves, and an oak hammock along the Estero Bay. This 60-acre unspoiled sanctuary offers the perfect escape from the area's well-populated tourist scene. Take time to hike and explore, and be on the lookout for diverse wildlife, including raccoons, rabbits, hawks, owls and turtles. 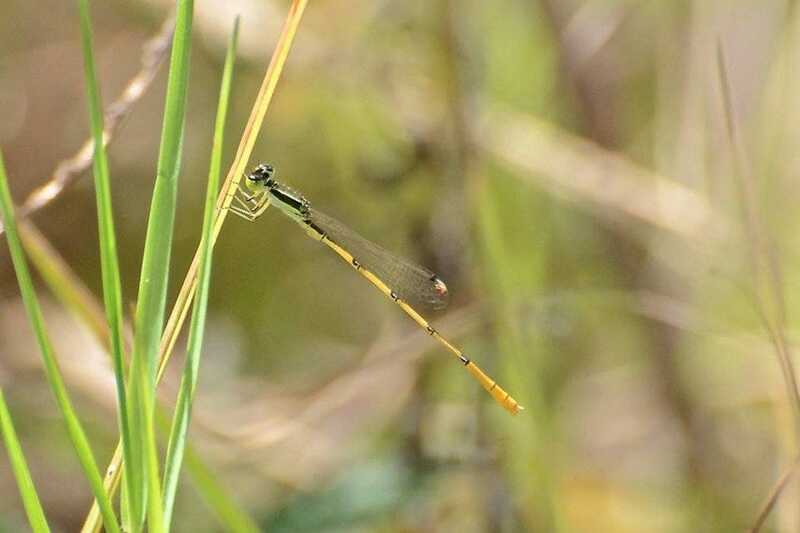 This park is a sanctuary for native plants and a designated site on Great Florida Birding Trail. There is free parking but it is limited. The Cypress Slough Reserve offers visitors a chance to explore Southwest Florida's unique ecosystem from the relative safety of a raised boardwalk. There is no telling which native Floridians (reptiles, and other wildlife) you'll encounter along this mile-long trail, but you can rest assured that they'll have their eyes on you! This is an outdoor park where indoor voices are encouraged so the creatures who live here won't scurry away. Even so, guided walks are available and nature programs are offered. Picnics are allowed in designated areas. It's hard to miss the native butterfly garden as it's in the center of the parking lot. You don't need to go to a zoo or an aquarium to get an up-close look at manatees. You can see them for free at Lee County Manatee Park! Between the months of November and March, manatees swim into the canal of this 17-acre park to escape the cooler Gulf of Mexico temperatures. Over the years, the mammals have been drawn to the warm-water discharge from a former, nearby power plant. The shallow water makes viewing the creatures in their entirety, perfect. On site there is a visitor center and gift shop and a playground for kids. Rent a kayak or canoe for a reasonable price and you can explore the waters on your own. 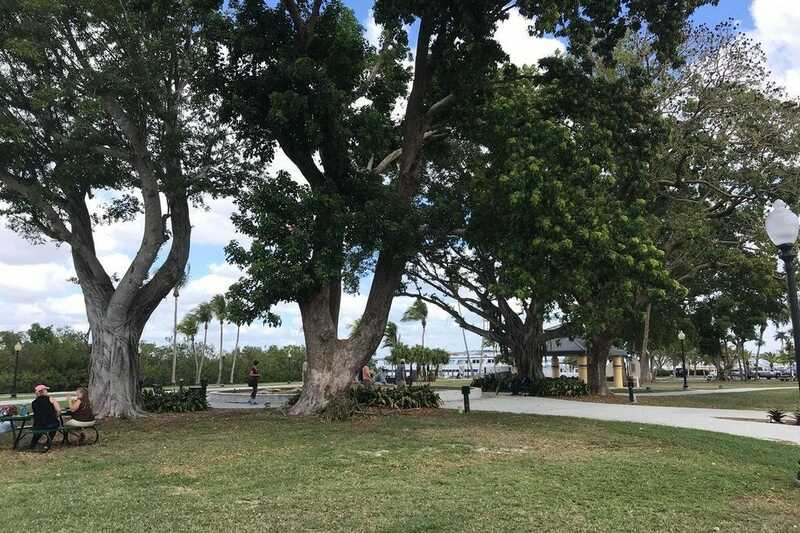 A winding drive through a residential neighborhood in Cape Coral leads you to this waterside park with a public beach and boat ramp. If dipping your toes into the Caloosahatchee River is not up your alley, this park has a public pool too. It's not the Gulf of Mexico but the river still offers picture worthy views of the sunset. In fact, there is a Sunset Celebration the first Wednesday of every month, from October through April. 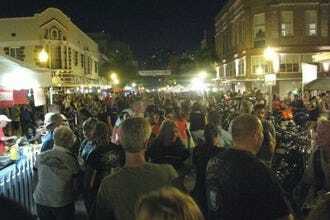 You'll find dozens of vendors, entertainment and food at this monthly party. The rest of the year you'll be able to BBQ, picnic and play tennis or racquetball at the outdoor courts. There is a playground for the younger kids and shuffleboard for everyone. 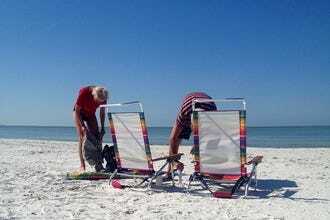 This is the last possible stretch of beach on Estero Island, sitting on the Northern tip of Fort Myers Beach. 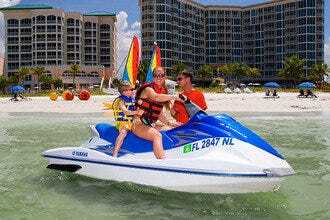 It's a great place to watch all kinds of watercraft, make their way into the Gulf of Mexico. The park includes walking trails, guided walks and is a designated site on the Great Florida Birding Trail. The beach is narrow at high tide but is beautifully decorated by Mother Nature with lots of driftwood and mangroves. There are restroom facilities and a concession stand if your cooler gets low. 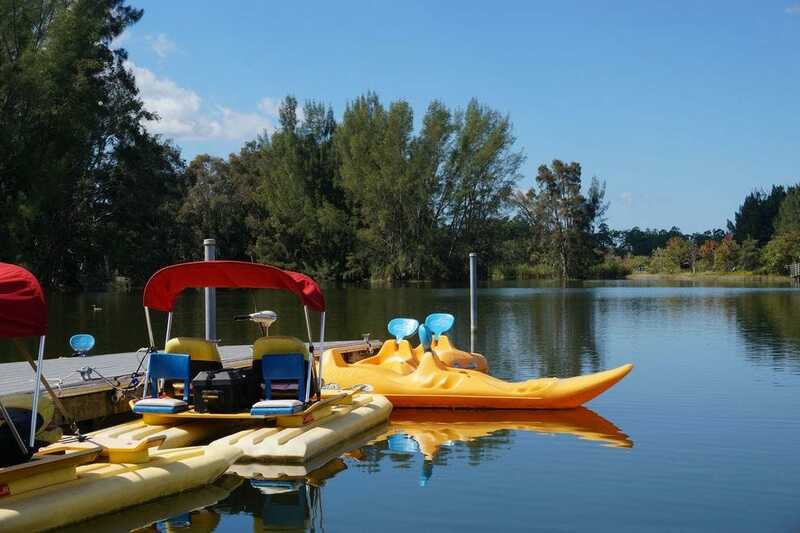 The park also offers kayak and paddleboard rentals when you're ready to move your body. The Three Oaks Community is an inviting, family friendly area with wide streets, lots of sidewalks and an expansive community park for the public to enjoy. Here you'll find baseball and soccer fields, as well as tennis, racquetball and basketball courts. If you are looking for someone to play a game with, there is a good chance you will find them here. 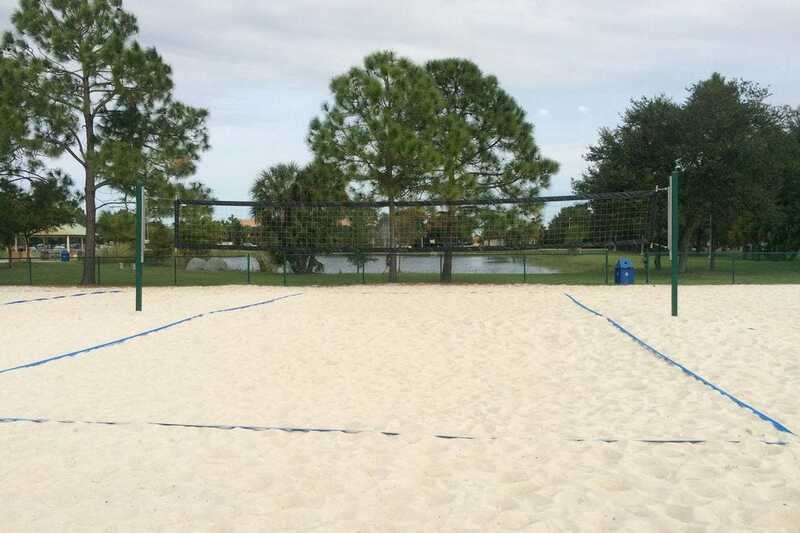 The sand volleyball courts, like most of the other sporting areas are well lit for evening play. 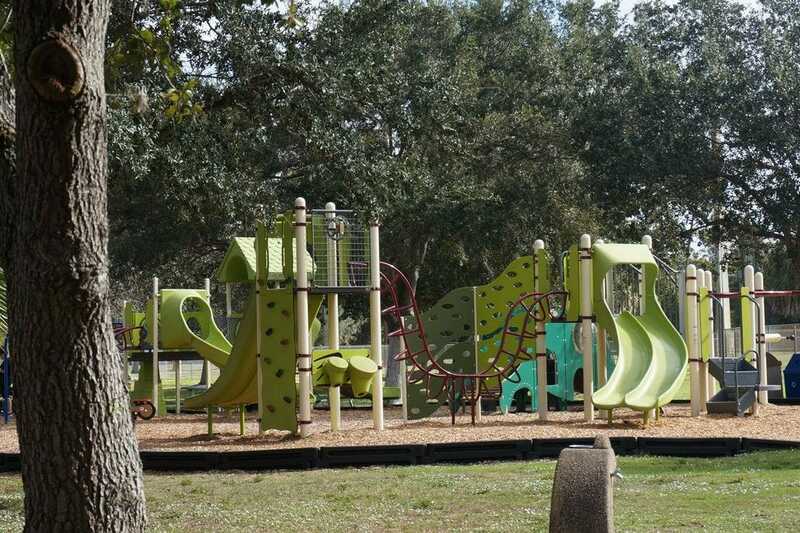 The playground is colorful and popular for all ages and there are picnic shelters if you've packed a meal or want some shade. A one-mile, winding walking trail offers a safe way to burn some calories and get moving. 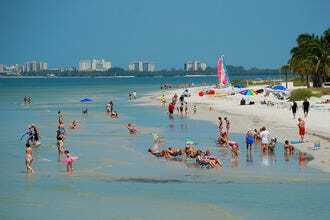 Lover's Key is made up of four barrier islands between Fort Myers and Bonita Beaches. For years it was only accessible by boat so "lovers" would travel there for solitude. These days, trams and boardwalks help you to navigate the two miles of white sand. Even with so many visitors, the land is mostly unspoiled, with an abundance of wildlife not to mention great shelling. 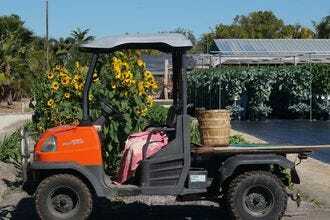 Black Island has hiking and biking trails or you can explore the well-known Calusa Indian site of Mound Key by kayak. 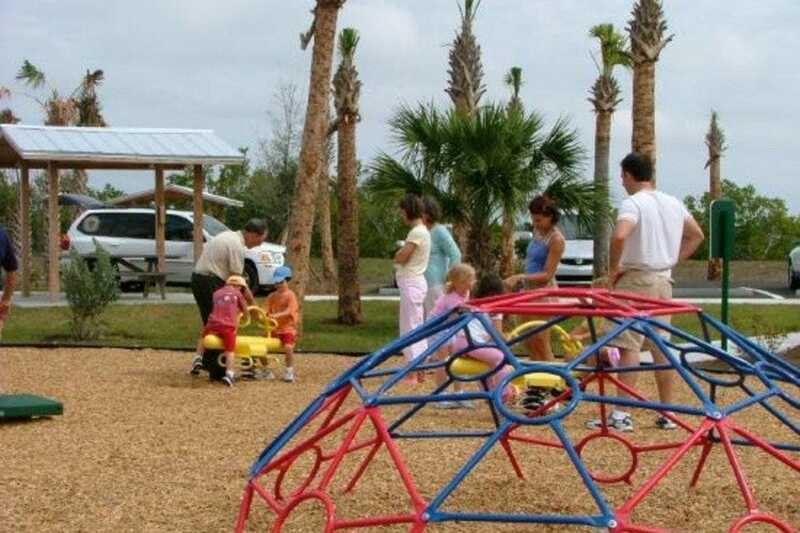 There are playgrounds, sports rentals, picnic areas and more. This beach has something for everyone. And if you are hungry or sandy, find concessions and showers for comfort. Centennial Park could be considered two parks in one. Most visitors to downtown Fort Myers see the 8-acre stretch along the Caloosahatche River. The park meanders for blocks and under the US41 bridge before opening to a large lawn and pavilion perfectly suited for concerts and events. Also under the bridge is a popular farmers market on Thursdays. 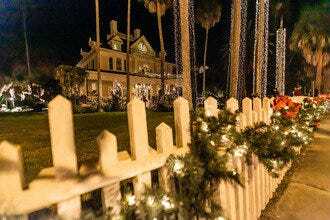 With it's fishing pier, winding sidewalks and lush trees, the centerpiece is a fountain and the Uncommon Friends Fountain featuring famous winter residents Thomas Edison, Henry Ford and Harvey Firestone. The charming riverfront park hosts a variety of community events and festivals that often close Edwards Drive, the road bordering most of the park. Other highlights include boat access, picnic shelters, a playground and beach volleyball courts. Walking the 2.5 miles of paved and unpaved paths at Lakes Park is free but if you have a few extra dollars there are boat and bike rentals too. Workout stations with waterfront views are perfect for burning a few calories. 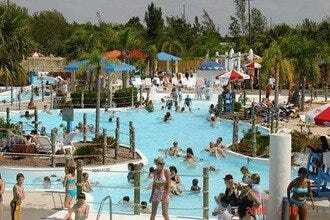 The small water park is open for kids to cool off and concessions are available if you didn't pack a lunch. Check out the Miniature Railroad with a 15 minute ride past a small scale village. Also, look for exotic vegetation and the occasional alligator in the 158 acres of freshwater quarry lakes; fishing is allowed. On your walk or ride, keep eyes open for exotic birds, enjoy the fragrance garden, and rest in the gazebo or the many covered picnic areas. The park is also home to numerous cultural and music festivals, with a seasonal Farmers Market.